To celebrate our first anniversary, we’re giving you the chance to win one of our favorite books by Minnesota authors. Below, you’ll see five of our favorites, and a little bit about why we liked them so much. To win, all you need to do is leave a comment and tell us which book you want. We’ll draw a winner next week (8/17) and send the book to you. You don’t even have to be a Minnesotan to win, we’re more than happy to let our coolness leak across the border. German for Travelers by Norah Labiner: “This might be stating the obvious, but I love reading. It's my favorite pastime and something I do every single day. That being said, not many books are fun to read. It's not like reading is a buzzkill or painful, it's just not, you know, fun. It's kind of hard to explain. 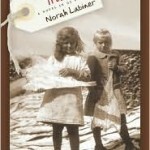 Norah Labiner's German for Traveler's was a lot of fun to read. The way Labiner plays with language and storytelling, made me smile in the middle of a page. It's as though I could tell she had fun writing that sentence or paragraph. Her book is smart and clever in the way that makes you feel like you're in on a joke. The Song is You by Arthur Phillips: “And there I was, minding my own business on a Sunday afternoon, when suddenly I could not put down The Song Is You by Arthur Phillips. It was like I got hit over the head with a love mallet. It had to be, because for the first third of the book I was trudging through Phillips' metaphor mud, wondering why a character couldn't just wave his hands. He had to be “waving at the air as if bees were approaching his ragged beard with colonial intent.” Etc., etc., etc. 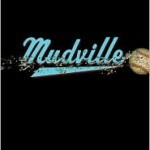 Mudville by Kurtis Scaletta “This is one of the most charming books I've read in a long time. It's sweet and innocent and has an air of mysticism about it that keeps it from feeling like over-sugared kidlit. ← Happy 1st Anniversary Minnesota Reads! Happy 1st Anniversary Minnesota Reads! I’d love to win Turtle Catcher after reading the short-story in Minnesota Monthly. A haunting tale. And HAPPY ANNIVERSARY MINNESOTA READS. Jodi, you’ve created a great thing. I’d love to win The Song is You after reading your review Jodi. One year – how exciting. What an awesome set of books. If I have to narrow it down to one, I’d pick German for Travelers. Sounds like a fun read, and my wife’s name is Elsa, so it’s got to be a great book, right? Keep up the great work, and thanks for getting other people interested in some MN authors. Put me in the hopper for The Turtle Catcher, please. I’m 45th on the reserve list at my library which means I won’t see this books until 2011. Unless I win, of course. Congratulations, MN READS, and welcome to the terrible twos. I’d love to win “The Turtle Catcher” because Jodi says its a great read! Congrats on your 1 year anniversary, this blog was a fantastic idea. I’d love to win The Song Is You, because I really dig Arthur Phillips (The Egyptologist in particular). I’d love to win German for Travelers. They all sound great, though. I’ve been excited to win Tales of the Road so I can get her autograph when she is up here. I’m going to have to pull a tie-breaker here and (flips coin. heads.) it looks like I’ll be choosing The Turtle Catcher. Pretty darn excited. 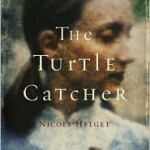 “The Turtle Catcher” looks fascinating — I’d love to win it! It’s a tough pick – they all look/sound wonderful! Happy One Year! I love to read too! Love to win “Mudville”. sounds like a fun summer read. Mudville is a great summer read — it’s approved by 10-year-old boys and 30-something lit snobs alike! Put me in for German for Travelers please. And Mudville is a great read. Happy anniversary Minnesota Reads! I would like Tales from the Road, please. Happy Anniversary MNReads! Thanks for 12 months of enjoyment. I especially like the, 6 Questions We always Ask, feature. If I were to win, I would love any one of the books you are offering, so, surprise me. Congrats and hugs. Happy anniversary! I just discovered your blog tonight on a referral from a friend. Even if I don’t win the giveaway, I’ll be adding it to my regular reads as I am an avid reader and I also love Minnesota Public Radio. On that note, I would love to win The Turtle Catcher. Ooh, I wish to enter for either “Mudville” or “Tales Of the Road: Hwy 61”, please. I’d love THIS SONG IS YOU by Arthur Phillips. I’d love to win Mudville, because baseball & books are my two favorite things. Congrats on the anniversary. Keep up the great work! As a fan of Cathy Wurzer, I’d love to win! I would love to win German for Travelers. I would like to win “German for Travelers” although they all sound interesting! 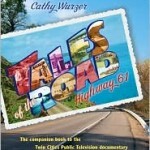 I have already read “Tales of the Road,” as my mother bought it while we were traveling the North Shore on Hwy 61, and I couldn’t not read it. It was great, and we just had to check out the places she mentioned. Even my 15 year-old was intrigued by Minnesota’s own ghost town, Taconite Harbor. I wish more kids these days were into reading, instead of just the constant stimulus of tv and video games! I guess Kate DiCamillo has at least gotten a few more kids reading!